You spend plenty each winter to keep your home warm against the New York cold. 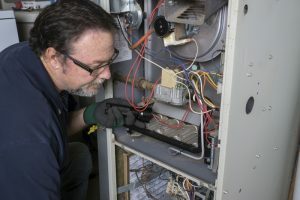 You don’t want to spend more than you have to, and it’s maintenance that helps keep away unnecessary hikes in heating costs. Each year a furnace, heat pump, or boiler runs, it picks up stress and dirt that makes it work harder to provide warmth. Maintenance cleans and adjusts the system as well as fixes parts that are rapidly wearing down so the heater will run at maximum efficiency. You can expect to save 25% off your utility bills for the life of the system when you have maintenance done each year. You can schedule heating maintenance easily: call us and sign up for our Bob Mims Maintenance Agreement. Bob Mims Heating & Air Conditioning—Serving Staten Island’s Heating and A/C needs since 1955. Arrange for pre-season heating maintenance with us today.